Malaysia woke up to what may very well be the exposé of the year for our country when the Department of Justice of the United States announced yesterday that they froze around USD1 Billion (RM4 Billion) worth of assets in the United States related to 1MDB. According to the DOJ, 1MDB funds were used to pay off gambling debts in Las Vegas, purchase a lavish yacht and private jet for more than USD35 million (RM120 million) and more than USD100 million (RM400 million) was used for the production of the 2013 movie titled ‘Wolf of Wall Street’. DOJ believes that the money used for the assets are part of the USD3.5 Billion (RM14 Billion) that was believed to have been stolen from 1MDB. Two of the individuals named in the report are Riza Aziz and Taek Jho Low. 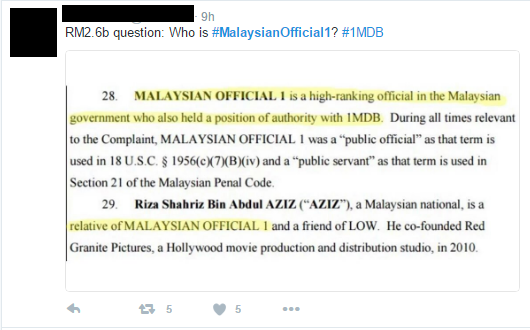 ‘Malaysian Official 1’ is a government servant who is also accused of being involved in this scandal. Though his name is not mentioned, he has been described as being related to Riza Aziz. These can only jump straight to the negatives and rage. 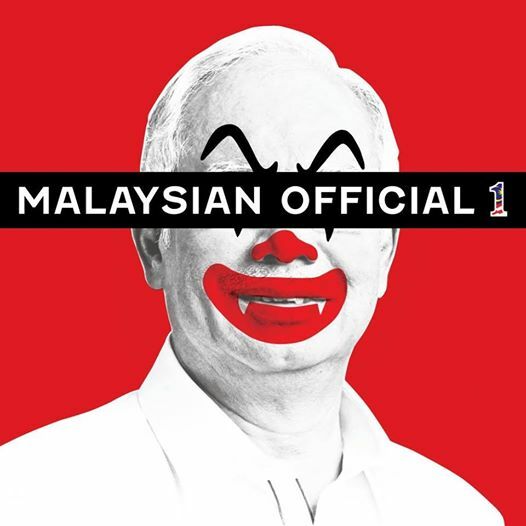 Local artist and activist named Fahmi Reza, who is known for his portrait of the Prime Minister in a clown image, has also made his opinion clear with a new image he uploaded to his profile. These guys are just here for the fun. Questions don’t stop for these guys. Translation: Actually, I still don’t understand what this 1MDB issue it? Sometimes when the world isn’t such a great place, all you can do is find a little bit of humour. 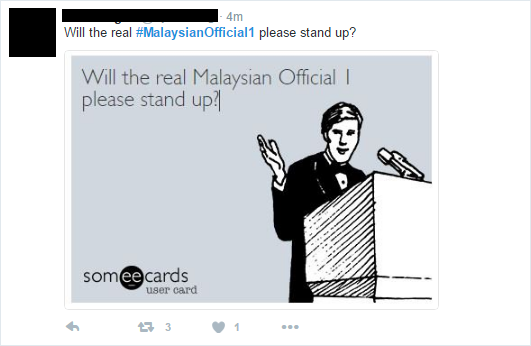 It’s obvious that Malaysians are feeling a lot about this issue and are taking to social media to express themselves. However, jokes aside, this news does have far-reaching consequences for all Malaysians. It’s not just about how the world sees us, but this potentially can affect our economy negatively. We don’t know what will come out of this, but we will be following the news and keeping up with the updates. 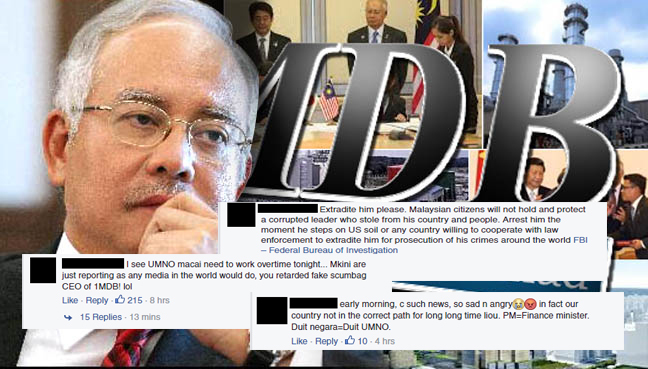 What do you think of the recent 1MDB news? What are your thoughts or reactions?